Biotech research and life science companies are involved in developing treatments for diseases that people are dying from and making new drugs to keep people alive – things that take a long time to develop. That's exactly the kind of research going on at The Parker H. "Pete" Petit Institute of Bioengineering and Biosciences (IBB) at Georgia Tech in Atlanta, Georgia. 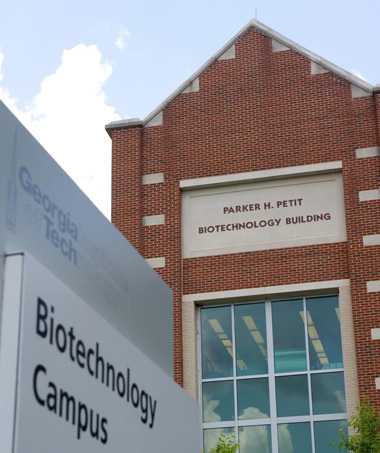 IBB brings together eight different departments and more than 100 faculty members and researchers from Georgia Tech, but also from Emory, Morehouse and UGA, among others. "Our purpose is to serve as the hub for biotech research at Georgia Tech," says Robert Guldberg, a leading tissue engineer and longtime IBB faculty member. Some of the other research happening under IBB's umbrella focuses on regrowing bones, regenerating body parts, magnetic nanoparticles that can actually move cancer cells, and an ongoing, vast buffet of potential new treatments and therapies designed to improve the human condition.